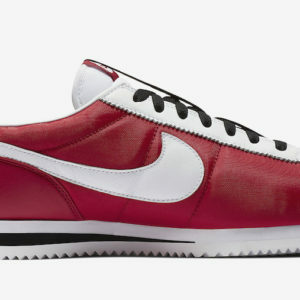 It’s All-Star weekend in the NBA and Nike is set to release a slue of signature shoes, including another Classic Cortez from superstar, Grammy winning artist, Kendrick Lamar. 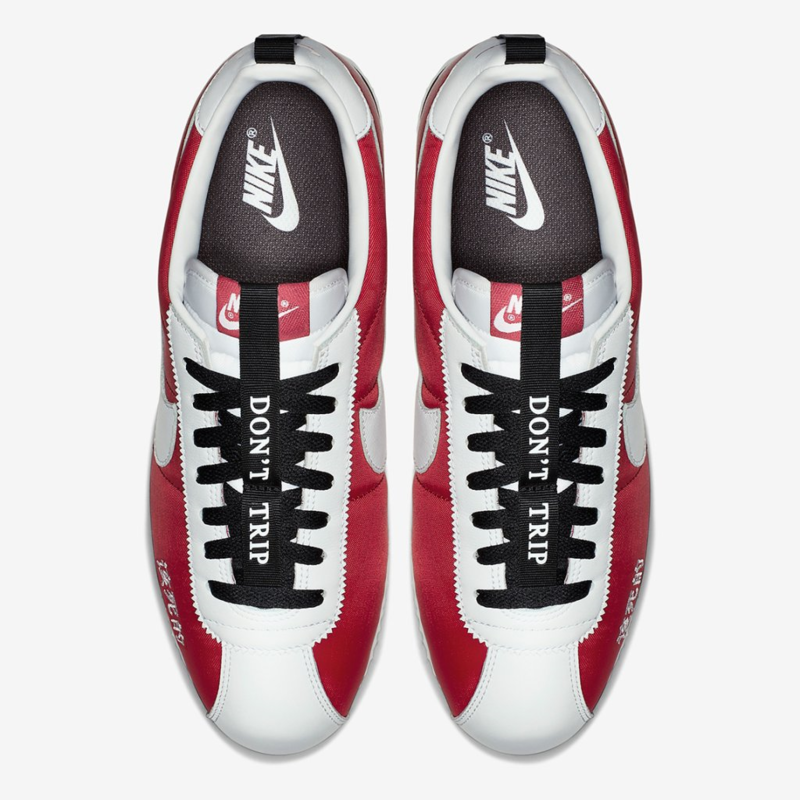 After a pretty stale campaign with Reebok, the company signed the rapper and released the first of his signature shoe the “Cortez Kenny 1″in January. 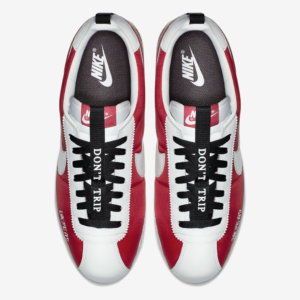 The white kick included black and white features with the words “DAMN” (the title of his latest award winning album) replacing the classic swoosh. 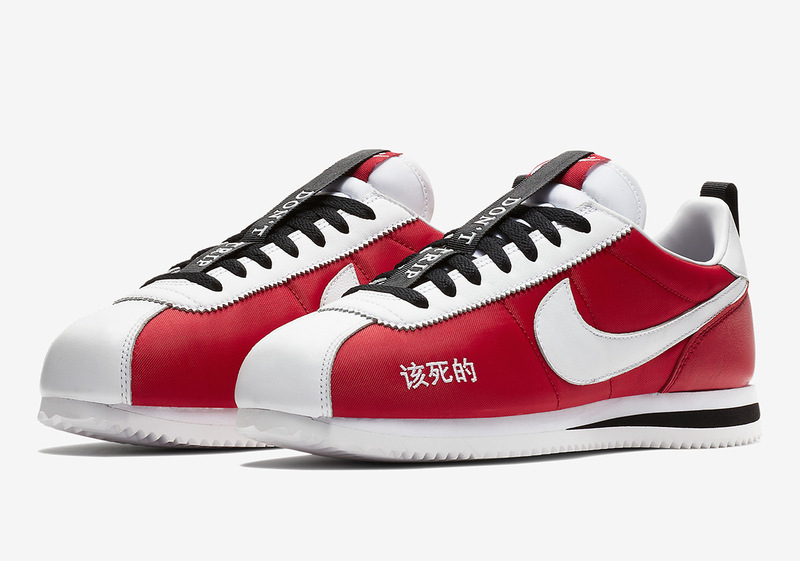 Now, the two sides are ready to drop another original Nike Cortez collab this weekend called “Kung Fu Kenny”. It was teased back in December on Lamar’s Instagram account, but will be available in select Los Angeles stores and on the SNKRS app, retailing at $100. This edition of the shoe has a range of new add-ons. 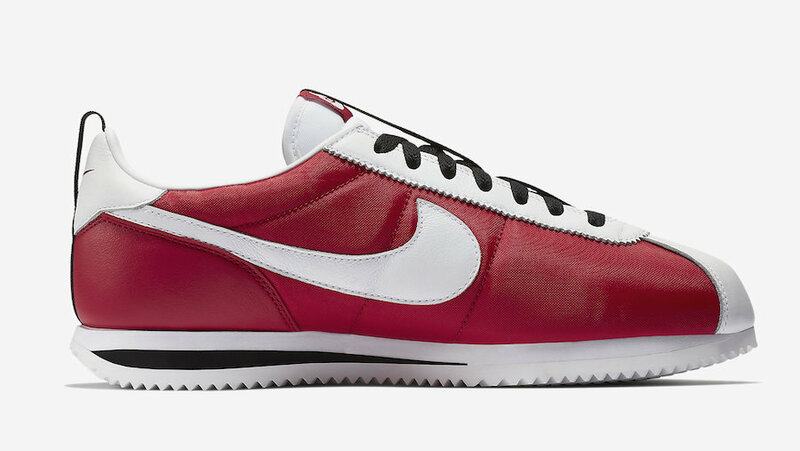 The base color of the shoe will be covered with red nylon, with the swoosh, heel, toe, and tongue including white leather overlays. 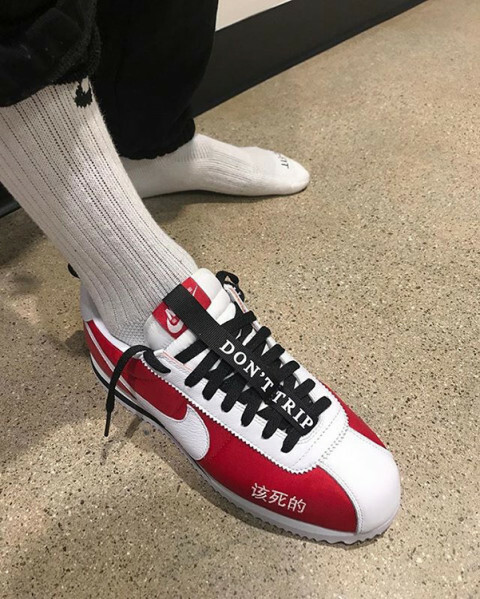 A black strip reading “DONT TRIP” that runs over the laces, from the top to the bottom of the tongue, along with Chinese embroidery that translates to “DAMN” will also be featured on the sneaker. For now, the shoe is only available through a new program on the SNKRS app called “SNKRS PASS” where people in the L. A. area were able to reserve and pick up their pair today. 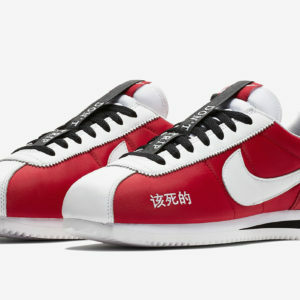 Hopefully, the shoe will release to the masses by the end of the month. Check back for more details and release information.